For a growing number of consumers, buying locally produced food is important. It supports people and businesses in or near your community, stimulates the regional economy, and can promote sustainability and biodiversity. Grassroots and government initiatives alike recognize the importance of building strong, local food networks. All too often, however, consumers are presented with a choice of local or organic food. We may think just because we don’t always see it at the grocery store that organic food can’t be produced locally. In fact we should be looking at local and organic asa viable option. 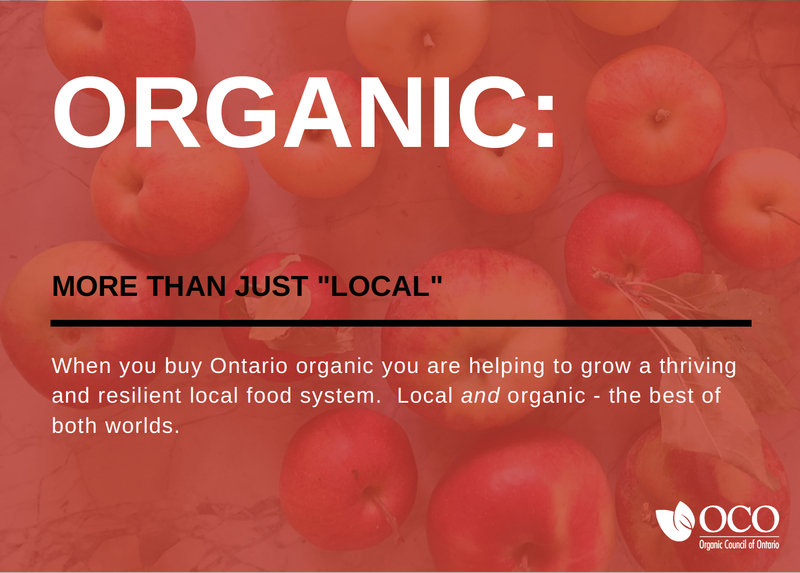 When you buy Ontario organic you are helping to grow a thriving and resilient local food system — the best of both worlds. 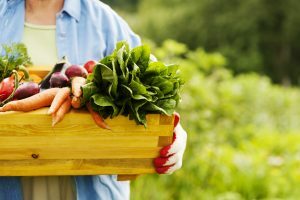 In this post, we look at how buying local organic food increases the benefits of buying local. Overall, it promotes systems-based, long-term sustainability, supports the provincial economy, and is a good fit with current local food strategies. By choosing local and organic products, consumers are making a long-term investment in ecological preservation for Ontario. Organic production uses less energy and offers ways of sequestering 100 percent of greenhouse gas emissions. Buying locally can reduce energy consumption and pollution associated with transporting food over long distances. Cutting down on “food miles” can also help reduce redundancy in our global food system, which often sees the same types of food produced for export also being imported back into the province. But how we grow and produce food also matters — perhaps even more than where it comes from. The David Suzuki Foundation, for instance, argues that food miles account for only 11 percent of agricultural products’ carbon footprint, while production methods account for 83 percent. Synthetic agricultural and processing inputs are often produced with fossil fuels, and using them can also increase greenhouse gas emissions. Also, a recent study from the United States found that organic soils hold 13% more organic matter on average, 45% more fulvic acids and 1.5 times the amount of humic acid than conventional soils. Fulvic and humic acids are more stable forms of carbon and thus are not as easily released into the atmosphere. Organic agriculture has also been shown to improve biodiversity and provide habitat for pollinators. Organic production takes a wider and more comprehensive approach to agriculture. By prohibiting synthetic inputs and favouring practices that not only sustain, but enrich ecological systems (particularly soil), organic offers a comprehensive, from-the-ground-up solution. Combine that with locally grown products, and you’ve got a winning combination. Increasingly, local food networks are seen as important supports for economic development. In Ontario, primary agriculture accounts for more than $4.3 billion of the province’s Gross Domestic Product (GDP), more than three percent of the output of goods-producing industries. The agri-food sector comprised almost six percent of provincial GDP, and is worth more than $37 billion. 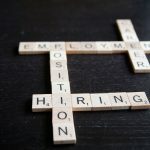 More people work on farms and in food production than in auto manufacturing, and the agri-food sector as a whole employs more than 800,000 people. Given the size of the agricultural sector, buying local food can have a significant multiplier effect. Small increases in household spending on Ontario products can add billions of dollars and thousands of jobs to the economy. Organic food businesses amplify this effect by creating more sustainable livelihoods on less land. Not only do organic farms and businesses receive a premium for their product, Canadian statistics show that organic farms generally have higher average net operating incomes than conventional farms within every revenue class except under $10,000. Organic agriculture also employs more year-round labour than conventional agriculture according to the recent census of agriculture. Research from the United States shows that the organic sector can even create its own economic clusters, with significant financial benefits. Dubbed hotspots, these hubs of food and agricultural production can see higher household income levels and lower regional poverty rates, according to the Organic Trade Association. So far, the OTA has identified 225 hotspots across the US. Recent census and market data show there are opportunities to grow the organic sector. Ontario is the largest market for organic products in the country with $1.6 billion in retail sales. Only 1.6 percent of its agricultural land is used for organic farming, compared with 3 percent of Quebec’s farmland. Ontario accounts for one quarter of Canada’s farms, yet only has 19 per cent of the country’s organic farmers. In contrast, Quebec accounts for only 15 percent of farms in Canada, with 30 percent of the country’s organic farmers. Currently, imports are meeting consumers’ needs: organic food imports account for nearly $300 million, compared with $57 million in organic exports. As the demand for organic grows, Ontario’s farmers and business are losing market share to imports When Ontarians prioritize buying local organic products, they are investing in the future of agriculture and food security in our province. In 2013, the Ontario government passed the Local Food Act. The legislation was aimed at promoting awareness of local (ie: made-in-Ontario) food and building the resilience of local economies and systems. Several years in, the Local Food Strategy continues to promote the consumption of food made in Ontario, including an annual Local Food Week, tax support for farmers who donate produce to food banks, and food literacy initiatives. The Ontario Ministry of Agriculture, Farming and Rural Affairs also administers a range of projects geared towards bolstering local food consumption; some of them benefit organic producers. The Foodland Ontario Organic designation also helps consumers identify locally produced organic food. 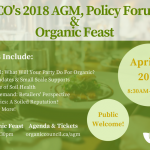 But while a general framework exists to support Ontario’s agri-food sector, there is no strategy to promote organic at the provincial level. The government could take a significant step forward in this regard by passing Bill 153 (The Organic Products Act), which would regulate the use of the term “organic” in Ontario and protect the investments made by certified producers. Passing the act and engaging with organic directly would fit well within existing provincial strategies to promote local food. By choosing locally produced organic food, consumers can make a meaningful commitment to their communities. This powerful combination offers a sustainable approach for growing economies and ecologies, while building strong relationships between consumers and producers. 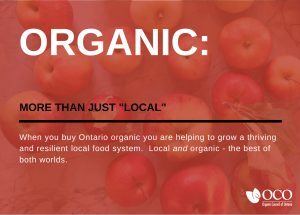 By supporting local and organic, consumers help support Ontario’s economy and reduce our reliance on imported food.